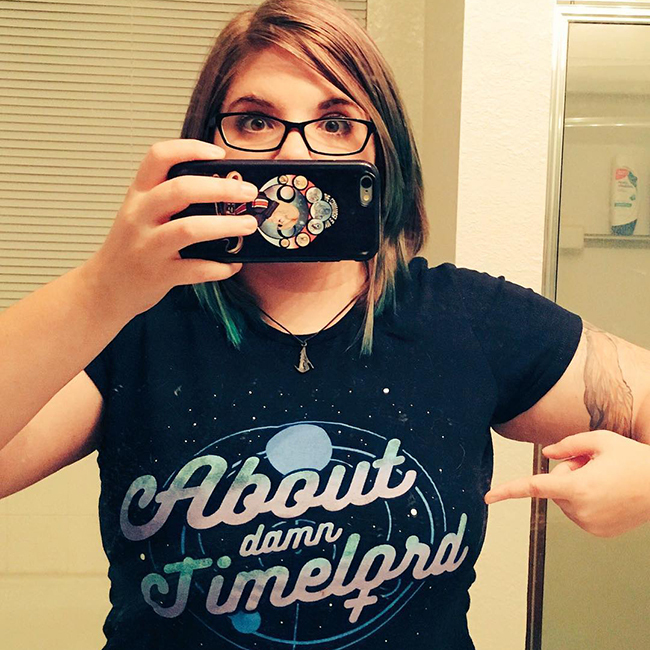 When the new Doctor Who started in 2005 I was an old Who elitist who swore never to watch the new stuff. I’d grown up on the old. It was everything. I couldn’t imagine how they could make the old Doctors better than they already were. Turns out I was just being a stubborn snob. Thankfully people change and I’m glad I did. My dad is the one who ultimately got me to embrace the new Doctors by introducing me to a few Matt Smith episodes. I gave in and I’m so glad I did. Because it all led to this perfect moment. Something I’ve wanted to see since I was a wee teenager stuck in her ways. I dressed up for tonight’s special occasion. Having someone you’ve loved and admired, someone you’ve idolized, someone you’ve considered a hero for most of your life, suddenly become a reflection of YOU is life-changing. It’s heartwarming. It fills you with joy and love. And most of all, it gives you hope. Seeing the Doctor become me, even for a moment, was everything. I can’t stop crying. I cried when they first announced her and released the video of Jodie Whittaker taking her first steps towards the Tardis. I cried when they gave us photos of her new outfit. Everything about her speaks to me and who I am. I can’t help but cry. Representation matters. Don’t let anyone ever tell you otherwise. I hope that every single person gets to feel this feeling. It needs to happen more. For all people. It needs to happen now. This is why diversity matters. This is why being inclusive and welcoming MATTERS. 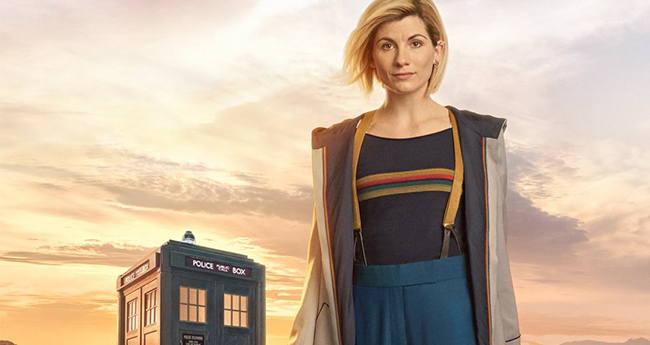 It’s sad that after SO MANY YEARS we finally got a female Doctor. A WHITE female Doctor. Now imagine the impact a Doctor who is black or brown or any race other than white would have on young children searching for themselves on TV. Imagine a trans Doctor or a disabled Doctor or ANYTHING OTHER THAN WHAT WE’VE ALWAYS HAD. 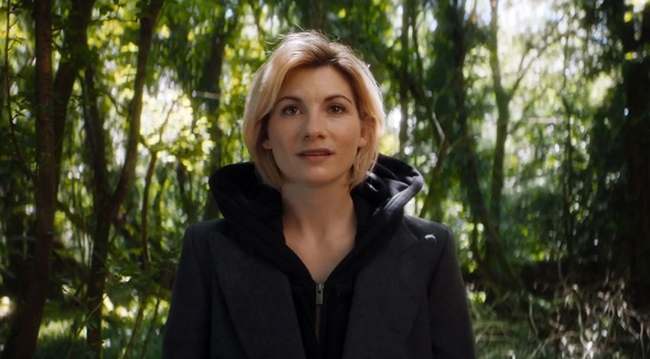 This small step, making the Doctor a woman, has reduced me to a blubbering baby because my heart has wanted this since I was introduced to Doctor Who when I was a kid (it became more of an obsession when I was around 14). MORE THAN HALF MY LIFE I HAVE BEEN WANTING THIS MOMENT. I canâ€™t adequately describe to you all of the feelings I am having right now. I want everyone to have this feeling. I want future kids to grow up not having to know this feeling because diversity is so common they don’t have to wait for these moments. I want them to grow up seeing themselves in media everywhere, no matter their walk of life. That is the hope. This is a small step but it matters. Representation matters. I am so excited for our new Doctor. I love her already.